I’M DOING COMEDY AT EL RIO TONIGHT! COMEDY RETURNS TO EL RIO! 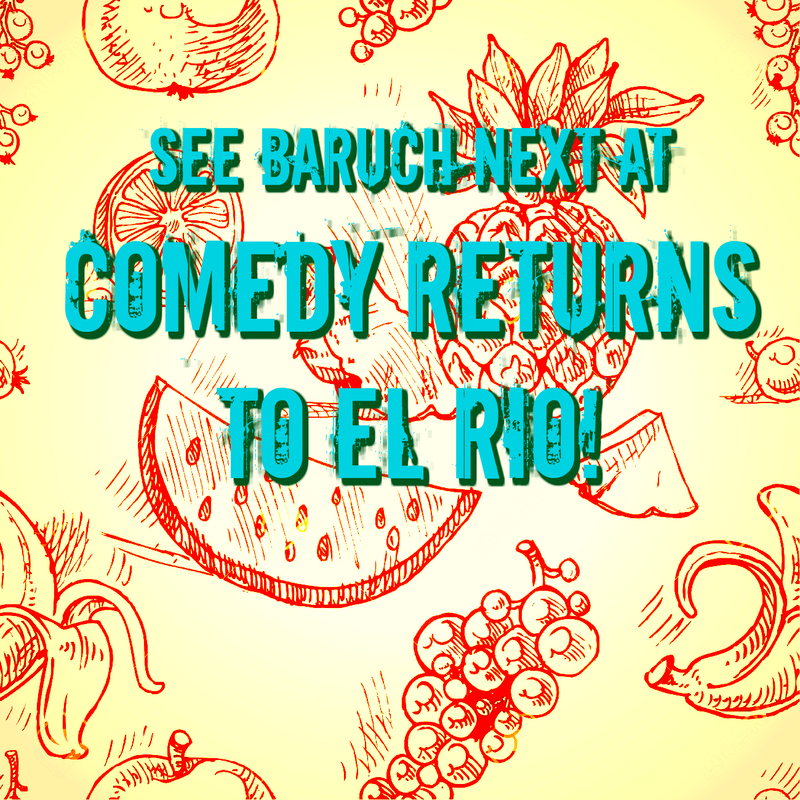 Comedy Returns to El Rio is a popular monthly comedy show (every 3rd Thursday of the month) co-produced by Kung Pao Kosher Comedy’s Lisa Geduldig and El Rio. The show, which has been taking place for the past 6-3/4 years at El Rio in San Francisco’s Mission District, features an eclectic, multicultural mix of intelligent, progressive, straight, and LGBT comedians from the Bay Area and beyond. I’m one of the performers. Yay! Come if you can. This month features: Sherry Glaser (Off-Broadway’s longest running one-woman show, Family Secrets), Abhay Nadkarni (originally from South India), Judi Leff (Director of Arts and Cultural Programs at Congregation Emanu-El), Eve Meyer (Executive Director of SF Suicide Prevention), and Lisa Geduldig (Your hostess). Can’t wait! RSVP ON DA FACEBOOK! I’m doing a stand up set at BRAINWASH CAFE! One of the funnest places to go see comedy in San Francisco! Join me and other very very funny, much funnier than me, comics do some funny stuffs. 7pm at Brainwash cafe, here is the address 1122 Folsom Street in DA CITY! HOSTED BY RUBY GIL AND NICOLE LOVE! GO HERE TO GET MORE INFO, jk It’s just FB, woooo! COME SEE ME AT SANTA CLARA UNIVERSITY! If you live in the Santa Clara area, I’m going to be a part of a reading titled Zeitgeist Bay Area happening at Santa Clara University’s Wiegand Room, Vari Hall. I’m sharing the line up with some of the top Bay Area writers and performers including two of my favorites Celeste Chan! And Arisa White! Santa Clara University’s Office of Multicultural Learning and Miah Jeffra’s Writing About Literature and Culture course present Zeitgeist Bay Area: A Reading. Five writers will read from their recent work, and discuss aesthetic, craft, content and process as artists living in the Bay Area. This event is open and free to the public. Refreshments will be served.